HAWAIʻI ISLAND - This week's Volcano Watch article examines the time it takes for lava to cool after it has been erupted. 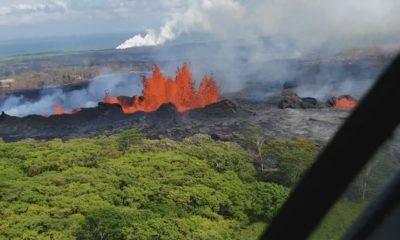 (BIVN) – In the latest Volcano Watch article, scientists and affiliates of the U.S. Geological Survey Hawaiian Volcano Observatory discuss the amount of time it takes for a lava flow to cool, and how the process occurs. 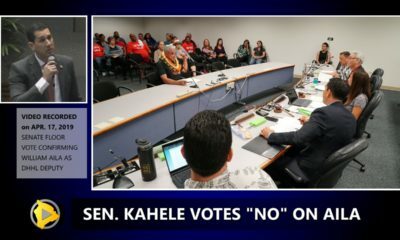 The timely article is released amid an ongoing clamor on Hawaiʻi Island to regain access to Puna homes and properties that were lava-locked during the 2018 eruption of Kīlauea Volcano. 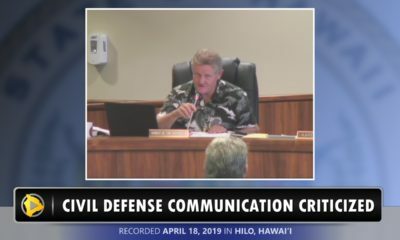 In particular, residents are requesting the recovery of Highway 132, which was covered by deep lava flows from the Fissure 8 vent in Leilani Estates. 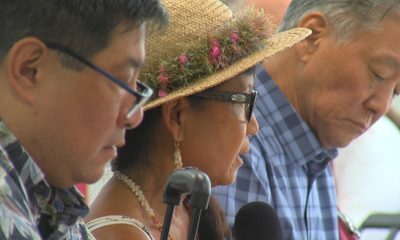 Hawaiʻi County Mayor Harry Kim has held firm to a six-month moratorium on such projects, starting from the time the eruption ended. It has been reported that the recovery of Highway 132 is a top priority for the County administration. Officials are following the process as set forth by the federal government in order to get federal funding to recover the highway. 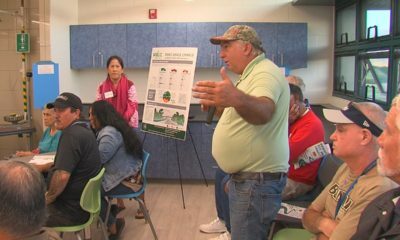 Since the end of the 2018 lower East Rift Zone (LERZ) eruption on Kīlauea Volcano, questions have surfaced concerning how long it will take for the new lava flows to solidify. This is a difficult question to answer, because the initial eruptive temperatures along with many different factors can influence the rate of cooling. Eruptive lava temperatures of the 2018 LERZ eruption reached a maximum of approximately 1140 degrees Celsius (2080 degrees Fahrenheit). When the entire flow cools below about 1000 degrees Celsius (1800 degrees Fahrenheit), it has solidified, but the interior is still very hot. 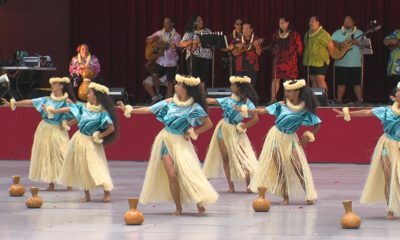 Arguably the most influential factor determining how fast lava cools is the thickness of the flow. Other factors include heat loss from both the top (to the atmosphere) and bottom of a flow (into the ground). Contributing to heat loss at the flow’s surface are air temperature, rainfall, and wind. 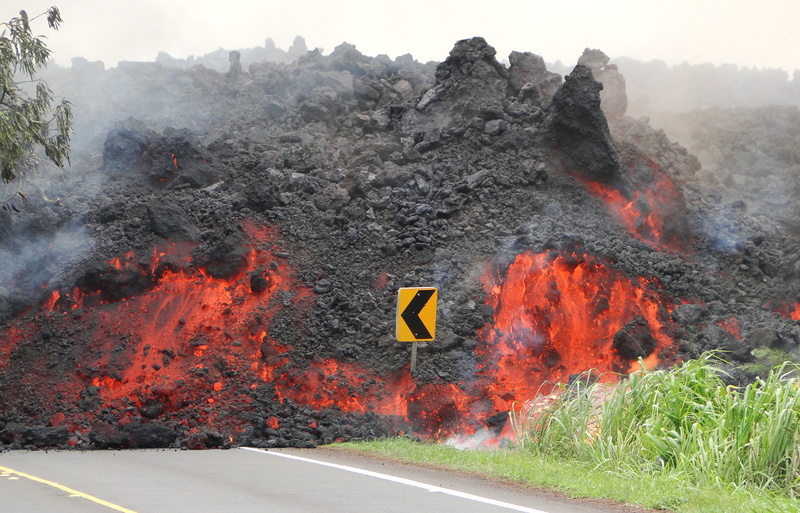 The initial contact between a lava flow, the air above it, and ground surface below it, quickly hardens the outer crust (top and bottom) of the flow. This is apparent in the silvery crust that forms on active pāhoehoe flows and the rubbly clinker that surrounds active ‘a‘ā flows. As the crust cools and thickens, it retains heat within the flow’s interior. This is because the crust is a good insulator, meaning it poorly conducts heat—similar to how an insulated thermos keeps liquid inside it hot. After the initial formation of crust, the flow continues to lose heat through radiation and conduction, facilitated by wind and rain. As rain water percolates into cracks in the flow’s surface and encounters the hot interior, it produces steam, forming the billowy white plumes often seen over active (or recently active) flows. This steaming can persist for decades, long after the lava has solidified, depending on the thickness of the flow and the temperature of its interior. Based on a study of crustal cooling of pāhoehoe lava flows in Kalapana erupted from the East Rift Zone Kupaianaha vent in 1990, we can estimate the solidification time for the 2018 LERZ flows. Because the equation only looks at cooling of the lava flow’s upper crust, the basal crust thickness is assumed to equal 70 percent of the upper crust according to this study. The Kalapana measurements were made on thin pāhoehoe flows, but most of the 2018 LERZ lava is ‘a‘ā. But, because the core of each flow type should cool at similar rates, we are basing 2018 cooling rates on the 1990 study. Also, of note, the flows studied in 1990 were much thinner with shorter cooling rates and may not account for long-term changes in wind and rain patterns. Preliminary analyses of the 2018 LERZ eruption flow thicknesses, suggest that the average flow thickness is around 10–15 m (33–50 ft). Based on the cooling rate calculation, it could take roughly 8 months to 1.5 years for flows of these thicknesses to solidify. Solidification of flows ranging 20–30 m (65–100 ft) thick could take about 2.5–6 years. The thickest LERZ flows on land, which are approximately 55 m (180 ft) thick, may take roughly 20 years to reach a completely solid state. Because flow thickness, wind speeds, rainfall amounts, air and ground temperatures, and other factors all affect lava cooling rates, there is a range of uncertainty on how long the interior of a flow remains liquid. For example, after the 1959 Kīlauea Iki eruption, the approximately 135 m (440 ft) deep lava lake took about 35 years to completely solidify, and the interior of the lake could still be hot enough today that the rock is incandescent. This is why, on rainy days, you can see steam rising from the Kīlauea Iki crater floor, as well as the Kīlauea caldera floor. With flow crust being such an efficient insulator, it can take years to decades for lava within thick flows to solidify. It takes much longer for the flow to cool to ambient temperatures. Next week’s Volcano Watch will address in more detail the thicknesses of lava flows from the 2018 LERZ eruption. A preview of next week’s Volcano Watch article on lava thickness might be found here, in a recent story focusing on the first map published by the USGS since the Kīlauea eruption ended; a preliminary map showing lava flow thicknesses.